"Monkey Makes Mischief in Heaven"
Saturday, February 8 at 2 p.m. 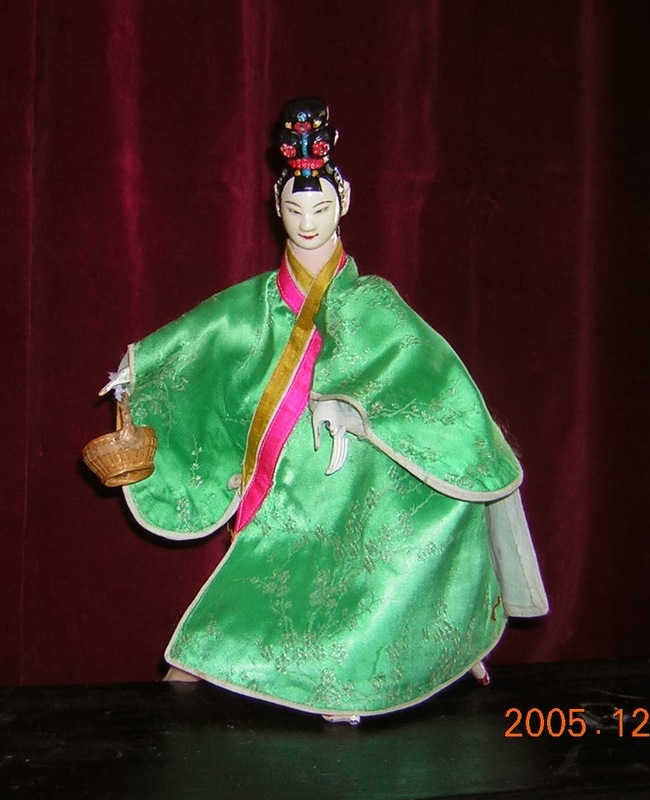 The Nectarine Queen goes to pick peaches for the Jade Emperor's New Year banquet -- and finds only one, half-ripe peach. The Monkey King has been gobbling peaches instead of tending them! Will the Monkey earn his place in the Heavens? Or continue his mischief? 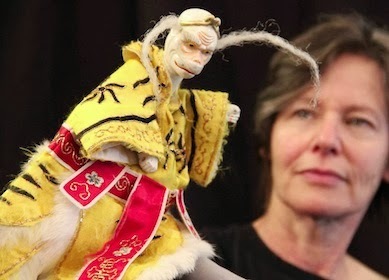 Join Margaret Moody for this episode of the traditional Chinese epic "Journey to the West" told with traditional Taiwanese puppets and choreography, which she studied with the I Wan Jan Traditional Hand Puppet Troupe in Taiwan. And stay after the show for oolong tea and a chance to dance with a New Year lion! 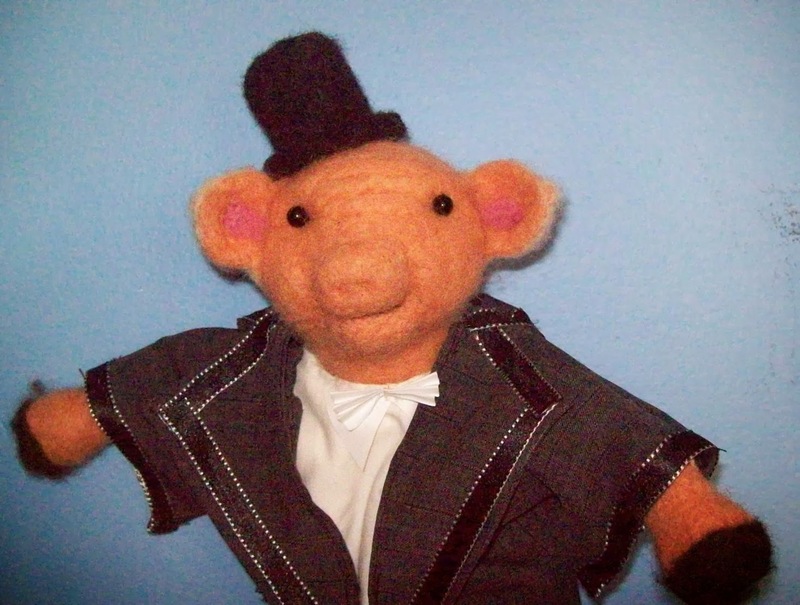 "Cow and Mouse's Picnic" and Mathilda's Bath"
"For I'll be there, puttin' down my tophat, mussin' up my shirtfront. . . "
"Cow and Mouse's Picnic" and "Mathilda's Bath"
Can Mrs. Piggle Wiggle and a tap-dancing Grandpa convince Mathilda to take a bath? And can an undersea adventure teach Cow to share? Margaret Moody answers these questions and more in "Mathilda's Bath," based on a Mrs. Piggle Wiggle story by Betty MacDonald and in "Cow and Mouse's Picnic," a funny farm fable. Come for the show; stay for coffee and puppet-play afterward. Hope to see you there!